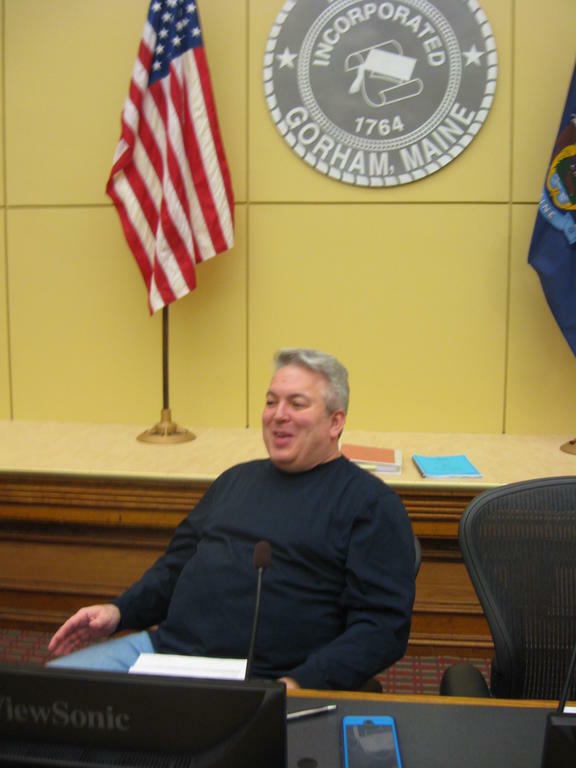 Gorham Planning Board Chairman Edward Zelmanow resigned Monday because he is moving out of town. As chairman of the Gorham Planning, Edward Zelmanow shows the panic button that would have summoned police in the event of a problem. Despite some controversial issues, Zelmanow never had to push the button in his nine years as board chairman. GORHAM — Edward Zelmanow announced Monday that he is stepping down from the Planning Board after 13 years, nine as its chairman. “Tonight is going to be my last meeting,” Zelmanow said when the regular monthly meeting convened. Zelmanow, lead Maine attorney in the Portland law offices of Howard Lee Schiff, said Wednesday he is moving to Waterboro with his wife. He is a member of the Waterboro Fire Department’s call company. His resignation leaves a vacancy on the seven-member board that is appointed by the Town Council. Planning Board Vice Chairman George Fox will serve as acting chairman until the board reorganizes. Zelmanow has served on the board during some controversial proposals that packed meetings. Besides some contentious housing issues, he was there during the Brickyard Quarry and asphalt plant hearings that went on for nearly two years and also heard plans for development of a South Gorham business park with a Cumberland Farms store that riled neighbors. Zelmanow has lived in Gorham for 20 years. In less than two decades, the population soared from 14,141 in 2000 to an estimated 17,381 in 2016 with a projection to hit 23,000 by 2040.